If you are an active photographer using a Nikon DSLR like the Nikon D300S is perhaps hope to soon find a new replacement, because the D300S has been circulating around 5 years, even hard to find in the online store or website Nikon in the United States and Canada. Rumors about Nikon or Nikon Rumors were roaming in the Internet. That's why I want to warm this holiday season by combining a variety of information about the Nikon D9300 is rumored to replace the Nikon D300S, which I saw in the Nikon forum and some information that is passed on the various camera sites. Who knows, your curiosity can be relieved for a moment. The Nikon D300s has been discontinued officially paving the way for a replacement, and the Nikon D400 rumors have been around for a long time; however, none of them have panned out and there are no reliable rumors currently floating around that suggest a D400 release anytime soon. So, what about the name? Why go with D9300 instead of D400 to replace the D300s? One of the cameras that is almost five years old and still available on the market is the Nikon D300s. 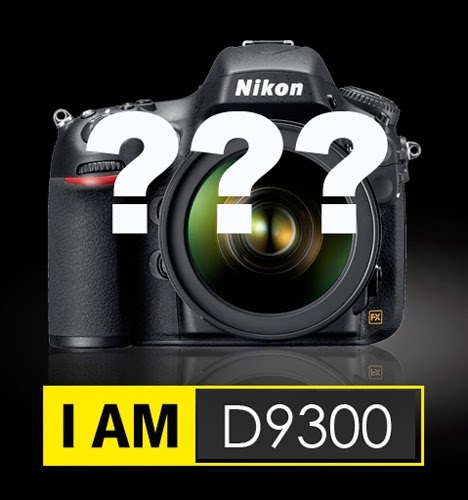 However, a reliable news from NR said: the upcoming Nikon D300S replacement will be named Nikon D9300. Nikon D9300 will be a DX body and will obviously be placed above the D7xxx line (Nikon has probably decided to keep the Dxxx line for full frame cameras and Dxxxx for DX bodies). In order to match the version of the D3300 and D5300, Nikon will name this as D9300 instead of D9000. If true, the probability that we'll see a 7DII greatly increases. Nikon Rumors says that's all the info they have, but speculates the designation suggests a DX (APS-C sensor) camera with more features than the prosumer D7000/D7100 Nikon DX bodies. People also fighting over its video specs. There are many people believe that the Nikon D9300 will Replace Nikon D300S (Not D400 or D7200). The USA and Canada branches of Nikon have both moved the D300s to the graveyard. Nikon Rumors is touting a possible Nikon D9300 successor to the Nikon D300s. The 9300 moniker would put it above the 3, 5, and 7 series consumer cameras, syncing up with their most recent “3” model iterations. The D9300 would logically slot in above the D7000/D7100 models in features and may be the D300/D300S replacement, albeit with a 4 digit number to designate a DX sensor camera. The status of the D300s found at Canon USA and Canada websites will most likely be followed by worldwide Nikon branches. The D9300 / D7200 should be the successor of Nikon D300S. The only information currently available is the name of the camera, so we can’t even really speculate on any specs. The question is whether the D9300 also be equipped with a feature to record video in 4K resolution? But, if this is indeed what Nikon is producing to replace the D300s, it will be HUGE news. Maybe the D9300 debuts the D7200 sensor, not unlike the D300/D90 intros where the pro body D300 appeared first, then the D90 followed with less features but the same sensor/processor. Do you believe if Nikon D300S now become a discontinued product, to be replaced by Nikon D9300 soon? Anyway, this is just speculation, so take the information with a big grain of salt. We’ll come back to this once we know more.